In the general public, 64% of people rate themselves as “excellent” or “very good” drivers. [Allstate] Obviously that’s not quite possible—but when your fleet rolls, you rely on a hand-picked pool of professionals who really should be better than randomly selected drivers. How do you incent the good drivers to be great? How do you quickly identify and cull problem drivers before they ruin your reputation? After all, it’s your logo on the side of the vehicle. Driver coaching is not an enviable task. Picture Dave, the forlorn driver, who’s just had his second speeding ticket in a month. After he receives yet another safety lecture, he agrees to perform better, or risk losing his job. But keeping his job might not be enough of an incentive to help Dave become the safety conscious, defensive driver that you want him to be. Speeding is one of the most common characteristics that causes traffic accidents in the United States. The National Highway Transportation Safety Administration studied the economic burden of traffic crashes on employers and found that ‘the average crash costs an employer $16,500. When a worker has an on-the-job crash that results in an injury, the cost to their employer is $74,000. Costs can exceed $500,000 when a fatality is involved.’ That’s an astounding cost, to any size business. With CalAmp FleetOutlook’s driver safety features you will have visibility into poor driving habits like hard-braking, hard acceleration and speeding. Armed with this data, a coaching session with Dave can be preventative rather than punitive. Dave can be shown how his driving compares to that of his peers—for example, that he’s generating 25% more hard braking events than the average. You can show Dave how he can save you some of the maintenance costs associated with hard driving. Things like shocks and struts, brakes, tires, exhaust and clutch all wear faster when driven hard. 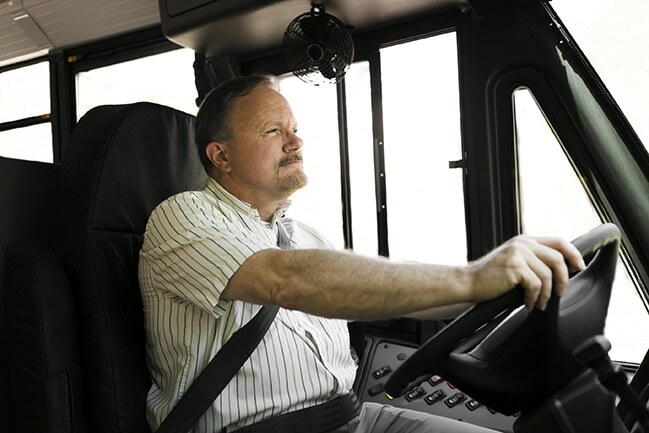 FleetOutlook arms you with the tools to protect your business from unsafe driving..
You gain better compliance when coaching is incentive-based rather than punitive. By offering something simple like a free lunch, or a half-day on a Friday, to the best performing drivers, you help them become part of the solution rather than believing you see them as part of the problem. You can turn safe driving into a competition, using driving statistics, such as fewest speeding events, lowest idle time or most on-time arrivals to foster some healthy competitive camaraderie among teams or individuals. Perhaps most importantly, when drivers see performance monitoring as a benefit to themselves as well as to you, they are happier and complain less about privacy concerns. FleetOutlook gives you the tools, the data, and the real-time visibility you need in order to reviewdriver performance. How you use it is up to you. Let’s celebrate our safest and most efficient drivers while we get the Daves of the world to join them.